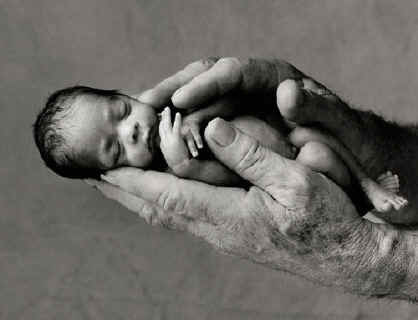 The Urban Politico: Pro Life vs Pro Choice: Is there a role for the father? A couple of weeks ago I attended a Family reunion (which has its OWN post coming…). As I’m sure with many families, there was a certain level of “family gossip" going around. Usually I try my best to avoid it, but this issue I found interesting. I have a male cousin, mid forties and middle income. He's not married, but he does have a long time girlfriend with two kids and one other child from a past relationship (three kids total-prior to his latest news). Apparently, sometime within the last year I assume, a woman from his past sued him for back child support for a fourth child that he didn't even know existed until recently. Now, my cousin says that he knows the woman and acknowledges their past relationship. He even knew of the pregnancy. According to him, he and the young lady agreed to terminate the pregnancy. Subsequently, their relationship ended, and they both went on with their lives. Needless to say, this “NEW” revelation took him and his family by surprise. Now mind you, this is family “gossip” so I don’t have all the facts, but HIS mother (my Aunt) did ask some questions that I thought were provoking. What are HIS rights? We know there is a debate over choice vs life, but is there any room in that debate for the father? If NO, why not? Should there be? Is the father’s role only restricted to AFTER the birth of the child? Does the father have any say in what will be a financial obligation to him? It was his understanding the pregnancy would end. That's what they agreed too. However, she changed her mind. Without his knowledge or feedback, now he is being sued for back support. Should he have ANY input when it comes to abortions or is it solely up to the woman and whatever her choice, he HAS to be ready to provide support? Does the initial "agreement" mean anything? Just curious to see what you all at the UP thought.